Action: Exhaust a character you control with ranged to immediately declare it as an attacker (and resolve its attack) against an enemy in the staging area. It gets +1 Attack during this attack. 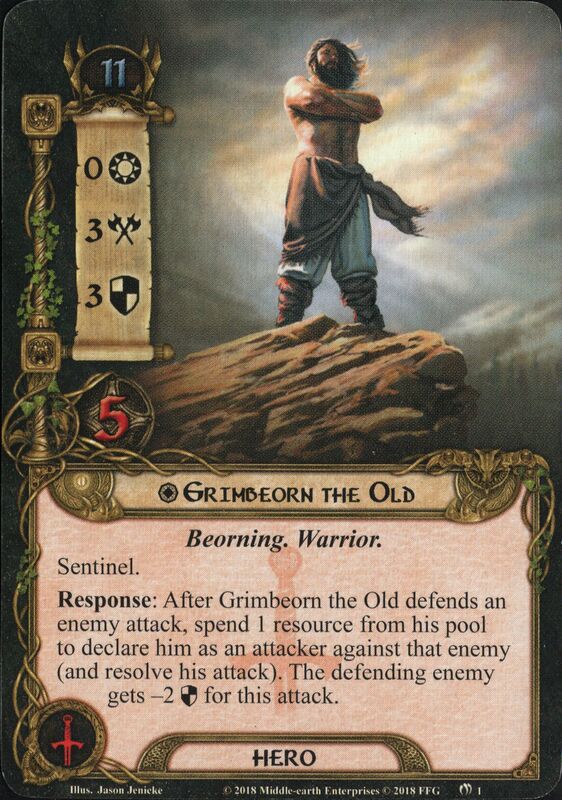 Response: After Éomer commits to the quest, spend 1 resource from his resource pool to immediately declare him as an attacker (and resolve his attack) against an enemy in the staging area. Play only before the staging step. Quest Action: Exhaust a hero you control to immediately declare it as an attacker (and resolve its attack) against any eligible enemy target. Then, the players as a group may spend 1 Spirit resource to commit that hero to the quest.